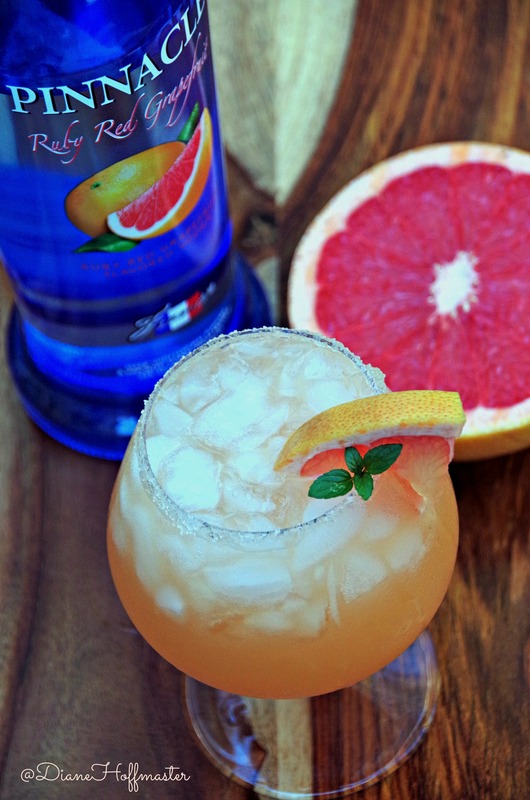 This refreshing grapefruit cocktail recipe has been sponsored by Pinnacle® Vodka, but all opinions expressed here are my own. When you think of seasonal fall flavors, what really jumps out at you? Pumpkin, obviously. Everywhere you look, you can find pumpkin-flavored foods. Apples, cinnamon, and eggnog are also flavors popular during the cool months of autumn. But did you know that citrus fruits such as grapefruit reach their peak of availability during the holiday season? Yes, that giant of the citrus family is at its peak during the cold months of December and January! 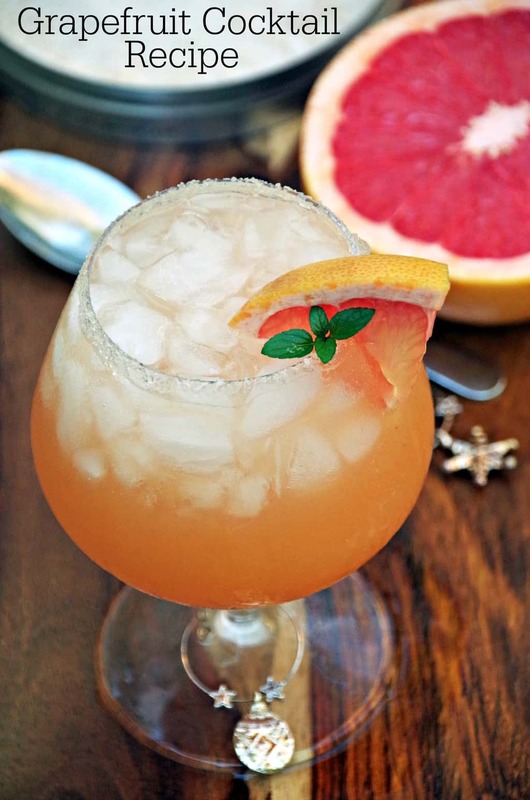 When one of my readers asked me to create a custom grapefruit cocktail recipe, I was excited to see what I could create! Pinnacle® Vodka comes in a wide array of flavors, meaning you can create a custom cocktail for just about anyone who happens to stop by to visit. Pinnacle® Vodka also tastes great and doesn’t cost a fortune, which I really appreciate. I found several varieties at my local store and picked up the Pinnacle Grapefruit Vodka to create this easy cocktail recipe. If you want to experiment with new flavors for your vodka cocktail recipes, check out Pinnacle® Vodka on Facebook for a full list of their flavors. 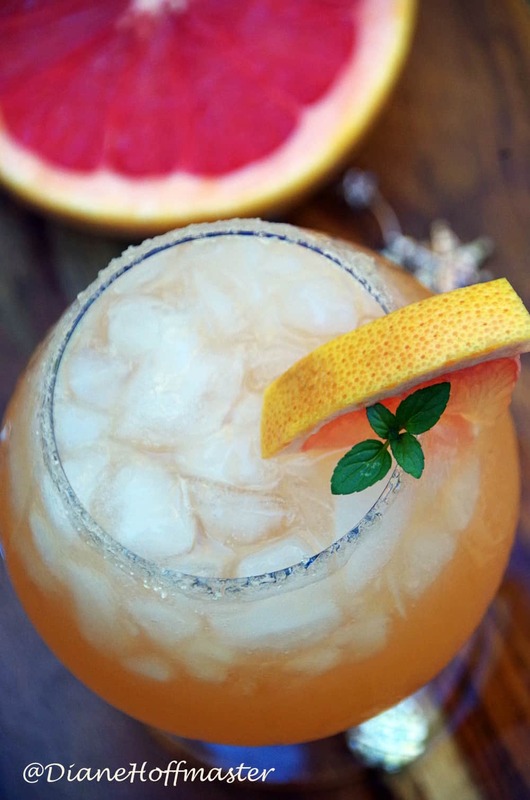 This refreshing grapefruit cocktail recipe can be made with fresh grapefruit or grapefruit juice from a bottle if that is all you have. I added a touch of orange juice to the freshly squeezed grapefruit juice to give it a tad bit more sweetness. If you really love a tart cocktail recipe, try substituting the lime for the orange! This grapefruit cocktail recipe is the perfect blend of sweet and tart! Add the honey, vodka, grapefruit juice and orange juice into a cocktail shaker with ice. Shake for 10 seconds and set aside. Wet the rim of the glass with an orange or grapefruit wedge. Dip the glass, upside down, in a plate of sugar to coat the entire rim evenly. Add ice and garnish with a slice of grapefruit. Want to create your own grapefruit juice cocktail recipes? 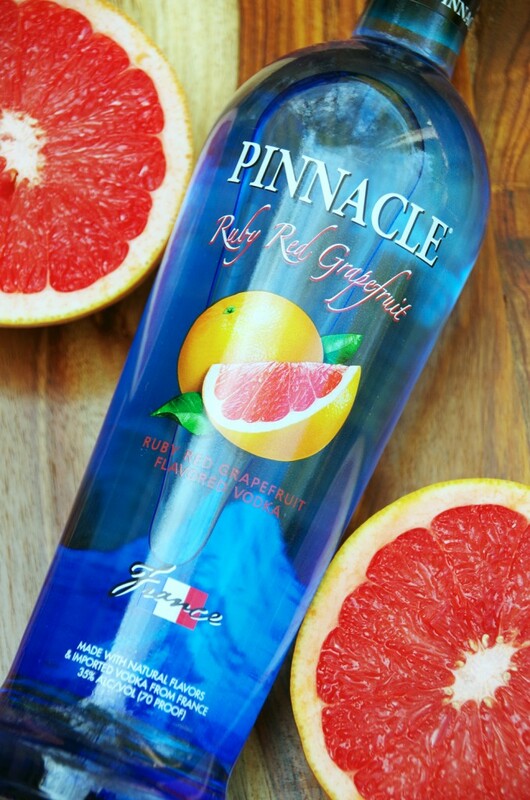 Follow Pinnacle® Vodka on Pinterest for inspiration! Pinnacle® is a registered trademark of Jim Beam Brands Co. and is used with permission. This is a sponsored partnership with Pinnacle® Vodka via Mode Media. The information, comments, and ideas expressed on this website are those of the author and do not necessarily reflect the opinions or positions of Jim Beam Brands Co., its affiliated companies, or any of its directors or employees.